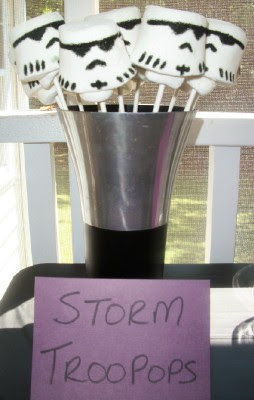 We made these Storm Troopops using jumbo marshmallows, large marshmallows, black edible marker, and long lollipop sticks. We made a hole in the bottom of the jumbo marshmallow and stuffed a large marshmallow inside to make it flare out a bit. Just draw on the Trooper face with the black edible marker and put it on a stick. 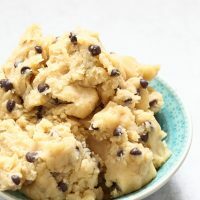 This was definitely the favorite for the kids at the party and SO easy! 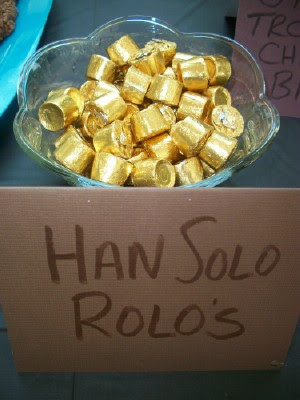 Ok…this is just really goofy, but we couldn’t think of anything else that went with Han Solo!ha Plus…we like easy!! 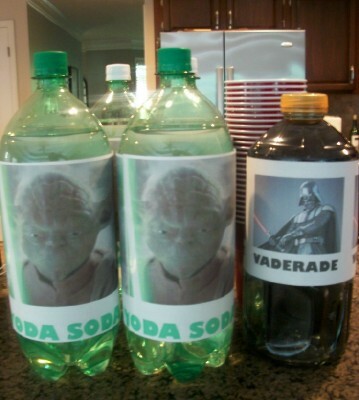 We came up with these Yoda Soda and Vaderade bottles for drinks. 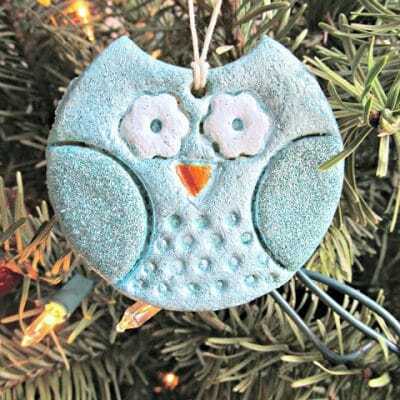 Everyone loved it and thought it was so cute. The boys were really excited because I usually never let them drink soda! We thought it would be cute to make Yoda out of guacamole. We just shaped his head and ears with our guacamole. Make a nose with it as well. We made his eyes with sour cream and black olives. We used scooper chips so we could label it as Yodamole and Trooper Scoopers! Here is another easy idea. 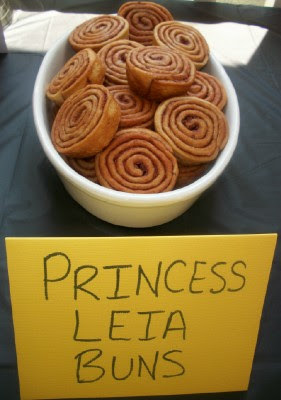 Just take some of the pre-packaged mini pinwheel buns and label them as Leia Buns! We will post the rest of our Star Wars party food tomorrow! Next Post » Lots of Star Wars Party Ideas! I love your blog! Your ideas are so creative and fun! 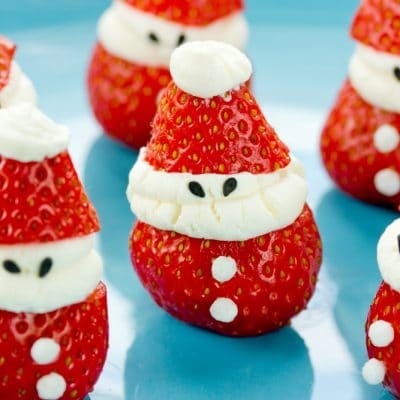 I wish I had all these great food ideas when my 2 girls were little…. What a great Star Wars Party idea! 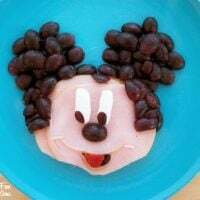 I need to bookmark you so that I can do this when my son has his next Star Wars party!!! Great job! Hi Jill, new follower. My son (s) one is 23, love Star Wars! My 12 yr old is a fanatic. These are great. 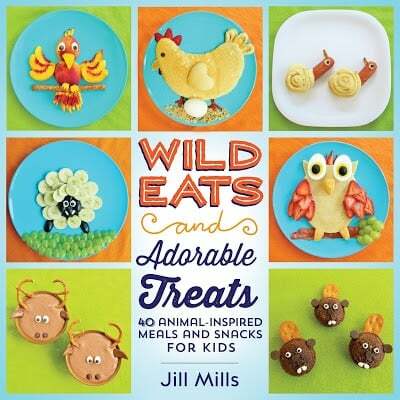 Jill your STar Wars party ideas are adorable. Your yodamole is GREAT, and it totally looks like him, he he. I am so loving your blog, did I already tell you that!! 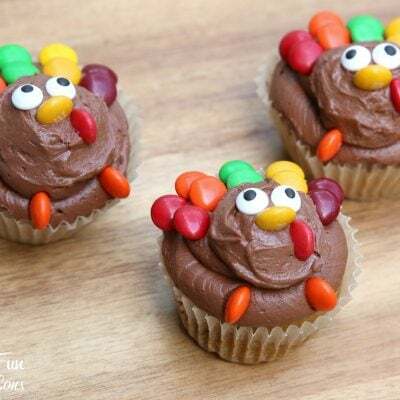 This is fabulous, and I would LOVE to invite you to link up to my new ULTIMATE PARTY PLANNING Link Party. Hope you can stop by and share this with us!! 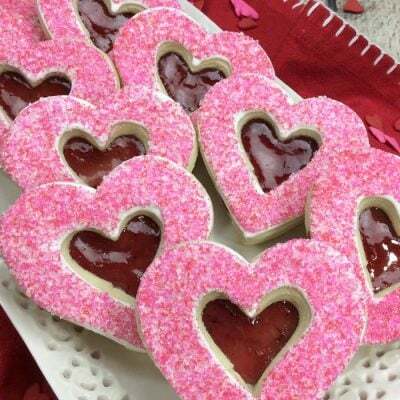 Love, love all the ideas!! My lil guy is turning 7 cant wait!! To do all this fun stuff! So many wonderful ideas! 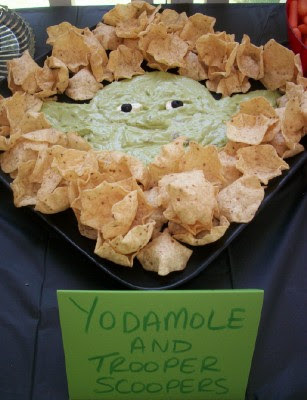 I saw your Yoda-mole on Pinterest a while back and pinned it to one of my boards. So wonderful to find that you are the creative source. Awesome!!! Great ideas!!! 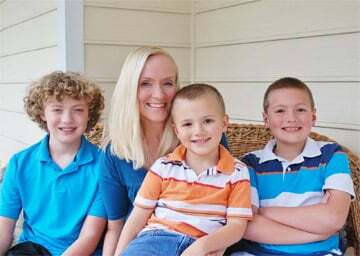 Lucky boys to have such a creative Mommy! Reading this makes me look around my kitchen and look at things differently. 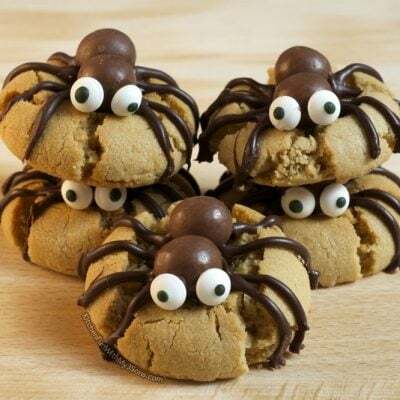 I'm sure when I go to the grocery store again I will never look at green tortillas or jumbo marshmellows without starting to think what I could make out of them and other things. Thanks for sparking my creativity. Thank you for sharing all your clever ideas! 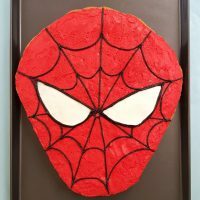 My husband's 40th is coming up and I'm so grateful for all the fun food ideas!